Most practicing Muslims answer the daytime calls to prayer at considerably more modest and conveniently located mosques. 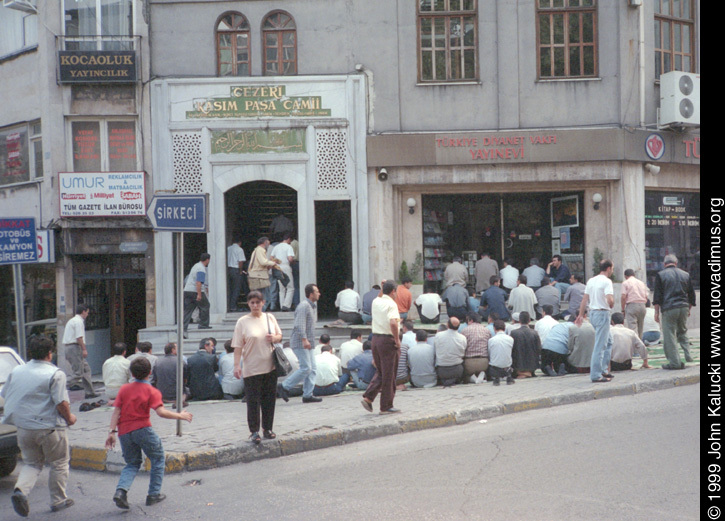 The faithful at this mosque, in a busy commercial area of the Sultanahmet, overflowed onto the street on a Friday afternoon. Once the call goes out on a busy weekday, watch where you stand. Men will drop what they are doing and come running from all directions. A few more pictures of mosques in Istanbul.